Goebel Fasteners, Inc. is part of the Goebel Group which has been a family owned company for the last 40 years and built a reputation worldwide for its innovative fastener technology. 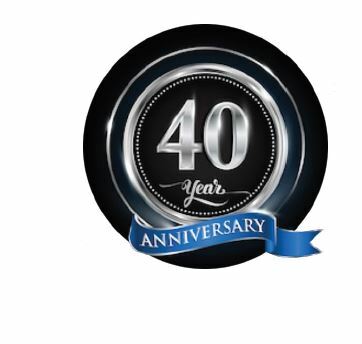 Founded in 1979 by Brigitte Goebel and Klaus Arens, both recognized a need in the market for new fastener options that would turn the tide in industry. 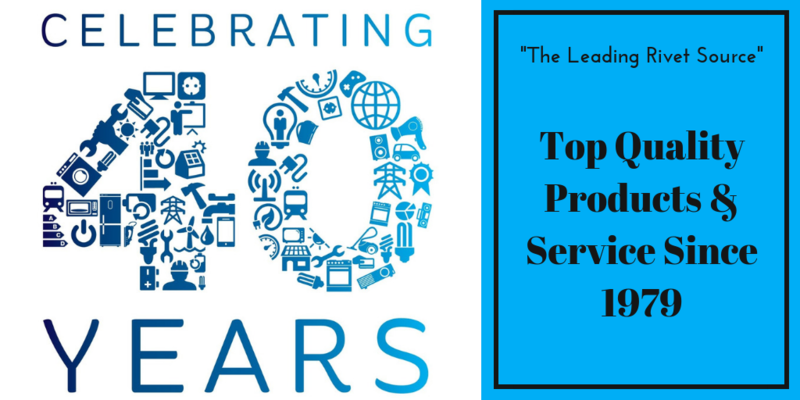 Now in its second generation many of the qualities that made Goebel successful in the beginning, such as providing customers with top quality products, competitive pricing, and exceptional service, remain core values of the company today. Originally it started as a local business serving the surrounding communities in Germany, the Goebel Group now has offices located in the Unites States, Germany, Netherlands, France, Poland, and Latin America. Specifically Goebel Fasteners, Inc. prides itself in strictly selling through a distribution based B2B model, offering the largest inventory of rivets, tapping screws, threaded inserts, and a full line of setting tools. 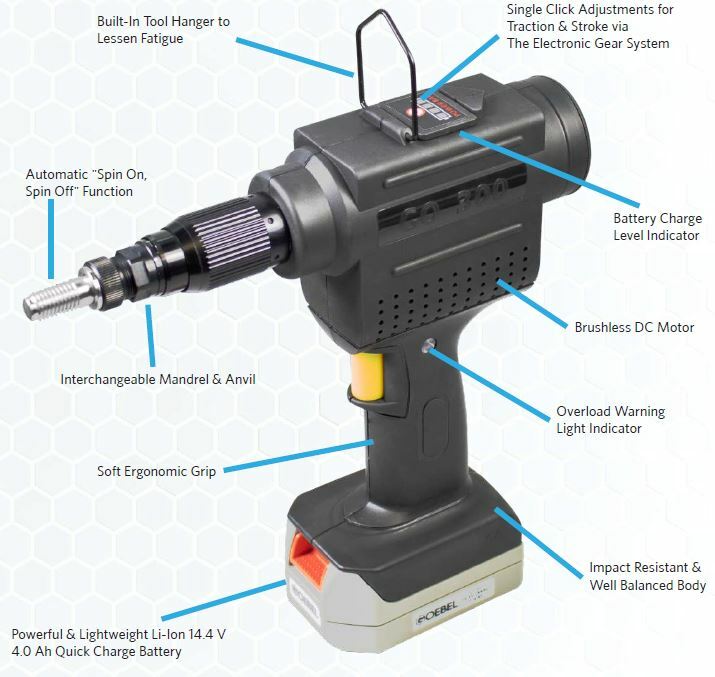 In Goebel Fasteners, Inc. continued efforts to maintain its reputation as “The Leading Rivet Source”, a new line of ratchet and cordless Lithium-Ion tools are set to release Fall 2018. The expansive lineup will include the GO-300 which has the capability to set up to M12 & ½” blind rivet nut threaded inserts; in addition the GO-400 will also be released which is designed for the pin & collar products with the ability to set up to ¼” sizes in all material types. These two new cordless tools will be priced competitively and the user experience will be seamless as well as provide a unique alternative to the current hand tool lineup. Goebel Fasteners, Inc. is committed to its distribution partners and invests continued resources into providing current marketing material that generates industry awareness; between informative articles, high-res product photos, as well as innovative 3D CAD video models, the company ensures that their products are backed by top quality content. “Quality The First Time” is the motto that Goebel Fasteners, Inc. stands by; what the statement articulates is that the customer should only have to buy the products they are looking for once and not twice due to a lesser quality product failing them. Goebel products are put through a rigorous QC testing process and the results are available as a courtesy to all customers by specific batch number. The Goebel Fasteners, Inc. team is committed to providing professional and knowledgeable service to each and every one of its customers. 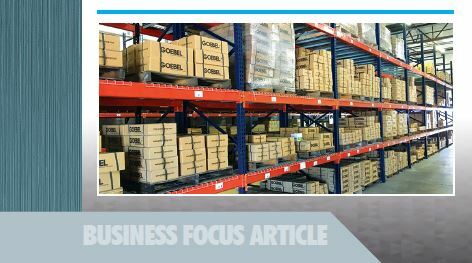 In efforts to expand the company’s North American market share, Goebel Fasteners, Inc. has continually increased its stock inventory in Houston, TX as well as focused on developing new innovative tool products to improve industry efficiency. The company’s strategy is to not just carry a “me too” line of products, but to provide a level of quality and innovation that stands out among the rest. If you are interested in being part of the next brand that revolutionizes the industry, make sure to contact Goebel Fasteners, Inc. today to see about their distribution opportunities.